Mark Selby continued his superb recent form by winning the Arcaden Munich Open in Germany, part of the Betfair European Tour series. 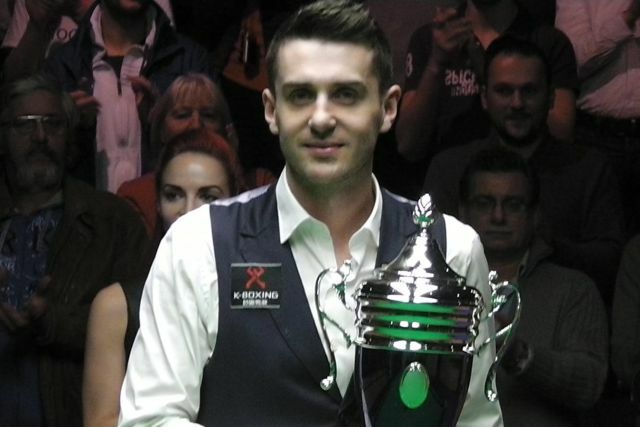 Selby captured the UK Championship title last month and regained the world number one ranking, and lived up to that billing by making it back-to-back titles in Munich with a 4-3 defeat of Graeme Dott in the final. Leicester’s 29-year-old Selby also finished top of the Players Tour Championship Order of Merit, by winning the last of ten short PTC events staged around Europe and the UK this season. Selby led the final 2-1, then Larkhall’s Dott, who was seeking his first professional title since 2007, made a break of 106 to win the fourth frame then took a scrappy 38-minute fifth to lead 3-2. But Selby rose to the occasion with breaks of 72 and 90 to win the last two frames and secure the 12,000 Euro top prize, plus 2,000 ranking points. The line-up for the 32 players to go through to the Grand Finals at the National University of Ireland in Galway in March will be confirmed shortly, and tickets will be on sale this month.